John Blacking is widely recognized for his theoretical works How Musical Is Man? and The Anthropology of the Body. This series of essays and articles on the music of the Venda people of the northern Transvaal in South Africa constitutes his major scholarly legacy. 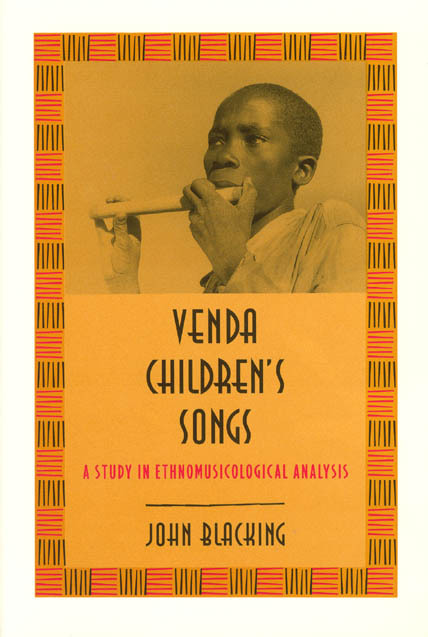 Venda Children’s Songs presents a detailed analysis of both the music and the cultural significance of children’s songs among the Venda. Among its many original contributions is the identifying of the role of melody in generating rhythm, something that distinguishes this form of music from that of Venda adults as well as from other genres of African music in general.